There are few government regimes that have become as infamous as the National Socialist German Workers Party, or Nazis for short. They have become immortalized as a symbol of oppression, racism, and just plain evil throughout the world. 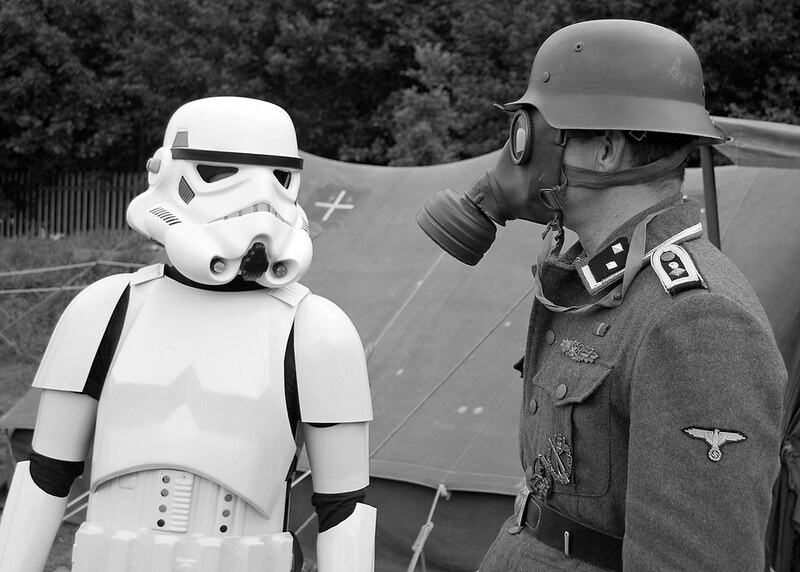 Their influence can even be seen everywhere from white supremist groups in Charlottesville to the design for Darth Vader and the stormtroopers uniforms in “Star Wars”. So what did the Nazi’s do to gain such a malicious reputation? The answer is, I am afraid, far more than we could ever imagine. I have always believed that truth is far scarier than fiction. The more I read about the atrocities committed across the span of human existence, the less I worry about aliens and zombies, and the more I begin to turn a suspicious eye towards my fellow man. After all, for many of the Jews who were rounded up and put in concentration camps, it was their very neighbors and townsfolk who gave them up and turned their back on them, but I’m jumping ahead of myself. So lets begin with what the Nazis were and what they believed, because unfortunately the term gets thrown around a lot today. The Merriam-Webster online dictionary describes “Nazism” as “:the body of political and economic doctrines held and put into effect by the Nazi’s in Germany from 1933 to 1945 including the totalitarian principle of government, predominance of especially Germanic groups who were assumed to be racially superior, and supremacy of the Fuhrer.” In other words, Nazis like very white people and telling others what to do. 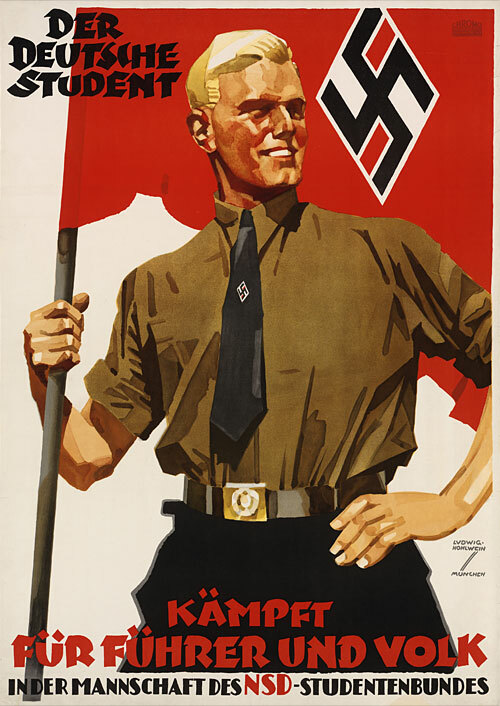 The idea of a “pure Aryan race” was a main tenet of Hitler and his followers. They believed that long ago a race of superior individuals who were tall, blonde, fair skinned, and blue eyed had spread through Europe and Asia raising up civilizations as they went, eventually mixing with “lesser” races until their traits could no longer be found. They believed that it was their duty to isolate this “pure” Aryan race and protect it from the “inferior” races of the world, particularly the Jews. In their paper, Hitler’s Racial Ideologies: Content and Occult Sources, Jackson Spielvogel and David Redles quote chilling words from Hitler. I don’t know about you, but that sends chills through my spine. Depending on your definition of “White”, Caucasians make up somewhere between 8 to 10 percent of the worlds population. That means that Hitler believed that 90% of people on Earth were “chaff”, useless, expendable, inferior. The Nazi regime took extreme action to ensure this “chaff” met its end. Jews, Jehovah’s Witnesses, Homosexuals, Blacks, Gypsies, and disabled persons all faced the wrath and terrible ingenuity of Nazi discrimination. Concentration camps, gas chambers, firing squads, and experimentation awaited those poor souls who had been deemed “undesirable” by the Fuhrer. It was in concentration camps like Dachau and Auschwitz where the borders of society and morality were washed away with the lives and sanity of its victims. What started out as jails and holding pens would soon turn into express lanes of death. The United Sates Holocaust Memorial Museum estimates that nearly 6 million Jews were killed during the war, with nearly a million in Auschwitz and its sub facilities alone. This was achieved through gas chambers, malnourishment, the weather, and rampant diseases. For those confined in Auschwitz, an even greater terror lurked in their midst, a physician by the name of Josef Mengele. 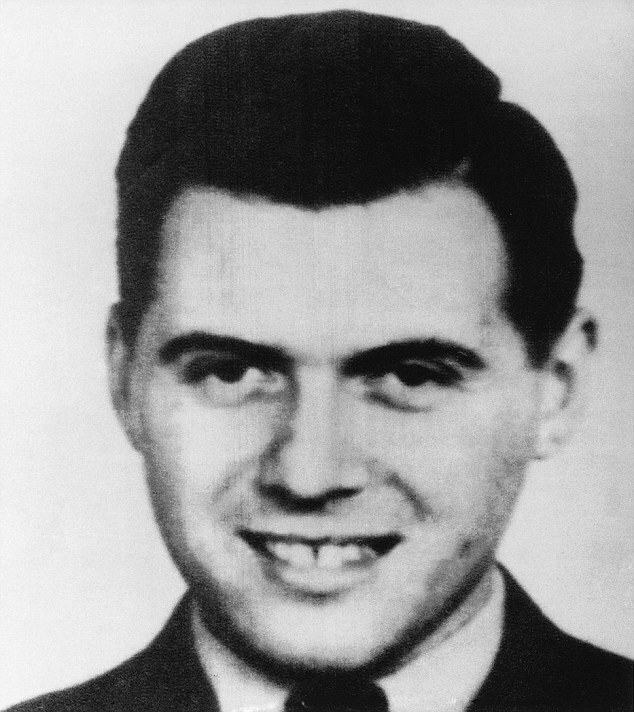 Josef Mengele was a German born doctor who had a fascination with genetics, race, and especially twins. The captives in Auschwitz came to refer to him as the “Angel of Death” and his “experiments” are the stuff nightmares are made of. Surgical procedures without anesthesia, injections into the eye to try and change the color, drowning victims in ice water, and infecting people with diseases intentionally. He had a curious fascination with dwarves and especially twins. He was often seen at the train stations where prisoners were offloaded, watching for peculiar “specimens” on which he could experiment. Mengele and his brand of “science” are perfect representations of how monsters police the borders of what is possible. Mengele had long studied twins and genetics before the war, but it was only after all moral accountability was removed by the Nazi regime that his true colors were shown, and that cruel monster that lurked inside was able to come out. It is also important to realize the process by which all this terror came about. 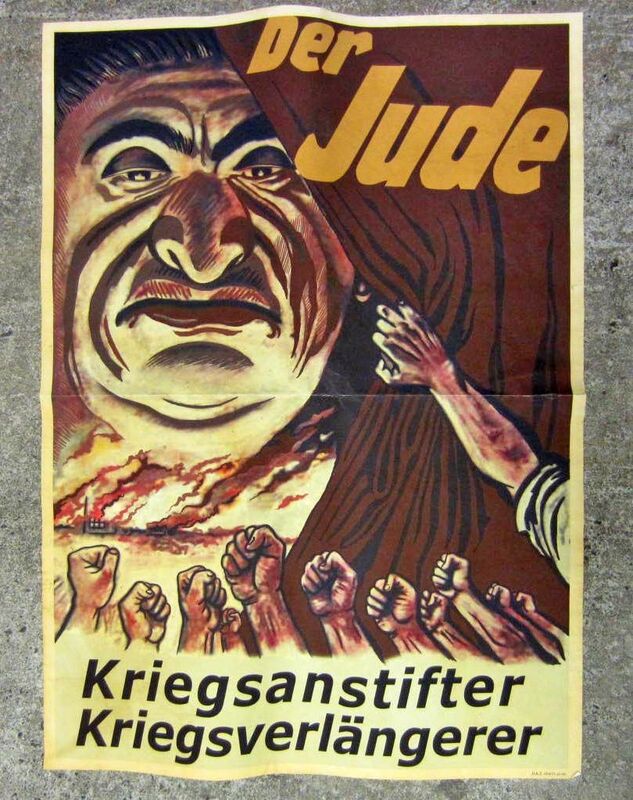 So often when reading history books, the story of the Holocaust is from the concentration camp to freedom, but the truth is that it was a long process of inundating people with propaganda and lies while slowly tightening the noose around the neck of the Jew, Gypsy, and others. The terror of the Holocaust didn’t happen overnight. Years before the first Jew was killed or imprisoned, a swathe of propaganda and media that demonized them began to circulate in Germany. Stories were fabricated how they were a lesser race, they were the seed of the devil, they were stealing money. The plethora of lies were soon paired with a picture. Not a realistic one of a successful businessman, or caring mother, but of snarling, big nosed devils stealing the white mans money and children. Jeffrey Cohens monster Thesis 4 describes this process of demonization perfectly; “The Monster Dwells at the Gates of Difference”(Cohen p7). Because they are different, they are wrong, and because they are wrong they must be destroyed. Sadly this is a story that is as old as humanity itself. Protestants, Armenians, Native Americans, and Blacks have all faced the fires of persecution because they were different than whoever was in control at the time. Obviously Nazis don’t have a monopoly on this sort of racism and bigotry, but their actions that sprung from these ideas lead to one of the worst genocides in history. Thankfully, that is not the end of the story though. Through the monumental efforts of the allies, the Nazis were struck down and their “Aryan empire” and its ideals were dissolved, right? Throughout my studies of monsters I have found that the most disturbing facet of monsters tends to be the fact that they always seem to return. Jeffrey Cohen again describes this terrifying fact in his second Thesis, “The Monster Always Escapes” (Cohen p4). No matter how many times you kill it, it always seems to crawl its way back to the world of the living to wreak havoc once more, only this time it has evolved, stronger and more intelligent than ever before. Nazi ideals, unfortunately, are no different. Obviously the fanatical loyalty to Hitler and much of the symbolism is gone, but at its core, it is still the same hatred for the “other” that was here before the Nazis and has stuck around long after. Groups like the Klu Klux Klan and the group from Charlottesville are labeled as Nazis and neo-Nazis because of their belief in White supremacy and the “sacredness” of white blood lines, but I think it’s more than that. This hatred of others that are different from us in culture or color is a human problem, not just a Nazi problem. No one is immune to it. Serbians and Bosnians, Protestants and Catholics, blacks and whites, Sunnis and Shiites, rich and poor, the list goes on and on. Nazis, the KKK, and the Charlottesville protesters may be similar in form and belief, but in spirit they are just the same as all those around the world who hate those of other cultures or ethnicities that are different than their own. It is important to keep an open mind about those who are different than us. If we simply learn to think for ourselves and experience what these “others” have to offer we can begin to take power away from those who seek to divide us for their own personal gain. This is the official website of the United States Holocaust Memorial Museum. Considering it is the official website of the Holocaust Museum I believe that their research and data will be up to date and as accurate as possible. I will use this data to quote death tolls of concentration camps in order to show the terrible things Nazis have done. This is a documentary page on the SS physician Josef Mengele. This is the USHMM official website so I believe that they would have access to some of the best data in regards to information such as this, including written letters and first person accounts. Josef Mengele was a very infamous Nazi physician who performed incredibly inhumane experiments on his victims. I plan on using this information to describe the terrible things Nazis were involved in. This is a paper on Hitler and his beliefs that was written by two gentlemen who are both professors of history. Both gentlemen are professors of history and have written multiple books on similar subjects. The paper also includes multiple quotes from Hitler himself. I will use this to understand and explain Aryan ideologies better and to quote Hitler directly to show how extreme his beliefs were. This is an online dictionary website. This is the direct online dictionary of Merriam-Webster so I believe it will be the most accurate. I will use it to define the use of the term “Nazism”. 5. Cohen, Jeffrey Jerome. “Monster Culture: Seven Theses.” From Monster Theory: Reading Culture. Minneapolis: University of Minnesota Press, 1996. 3-25. This is a series of seven these that describe monsters, how their made and how they describe the culture they come from. It was written by the guy that literally wrote the book on monsters; he has studied them for many years and these theses are part of an original book further discussing monsters. I will use this to describe the monstrous nature of Nazis. Previous Previous post: PLANTS FROM OUTER SPACE!